The winners of the NASSCOM Gaming Forum Awards have been announced. The 2016 ceremony, hosted at the NASSCOM Game Developer Conference in Hyderabad, was a celebration of best-in-class Indian game development in four categories. Prize: Rs. 300,000 ($4418.92) and Unity Pro 12 month pro license. Prize: Rs. 100,000 ($1472.97) and Unity Pro 12 month pro license. Prize: Unity Pro 12 months pro license. Honourable Mentions: Alter Army - PC (Vague Pixels), Dilly Dally - Mobile (Seema Datar) and Jack and Jill 3D - Mobile (Rohan Narang). 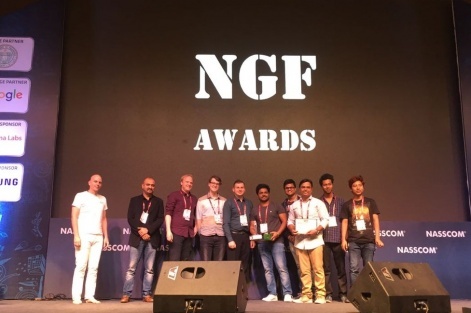 "The NASSCOM Gaming Forum Awards 2016 honor Indian developers creating the best video games across all platforms," said NASSCOM Gaming Forum Chairman Rajesh Rao. "The quality and innovation demonstrated from this years winners and runner-ups, shows off how far the Indian games development and publishing sector has come. "This year's winners, MaskGun Multiplayer FPS, Missing: Game for a Cause, Proximity and Ultimate Parking Simulator, showcase the best games development talent that the Indian industry has to offer and demonstrates how brands built by Indian developers can appeal to players everywhere."